Theron Donte Shackleford, 33, of Richmond, is accused of shooting a Henrico County (VA) Sheriff’s Deputy late Tuesday night. A man accused of shooting a deputy in Virginia was arrested in Cary, NC Wednesday, U.S. Marshals say. 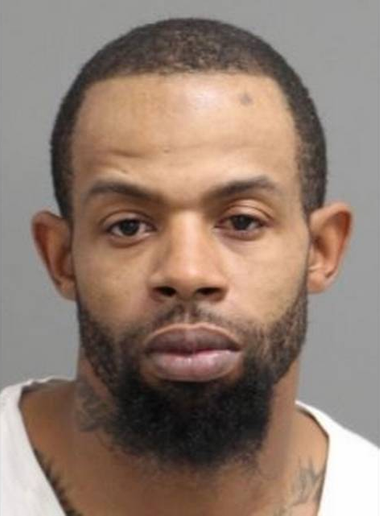 Theron Donte Shackleford, 33, of Richmond, is accused of shooting a Henrico County (VA) Sheriff’s Deputy late Tuesday night, according to a U.S. Marshals Service news release. Richmond police responded to reports of a shooting at a residence just before 11 p.m. and found the wounded deputy. He had suffered multiple gunshots and was taken to the hospital where he underwent lifesaving surgery, the release said. He was listed in critical condition at VCU Medical Center, according to a report in the Richmond Times-Dispatch. Henrico Sheriff Mike Wade told the Times-Dispatch that the deputy was at the home of another deputy, a female, when the shooting happened. He said the suspect, the woman’s former boyfriend, shot at the two deputies, wounding him. Wade told the Times-Dispatch that the deputies were not on duty at the time of the shooting. Shackleford was charged with attempted murder and use of a firearm in the shooting, police say, reports the Charlotte News & Observer.